We aim to gather around a hundred and twenty patients from as broad a spectrum as possible to get a truly representative sample. We need young people, workers, retirees, people with long term conditions and people from non-British ethnic groups. This year’s Patient Survey was carried out in conjunction with the existing Practice’s Patient Participation Group (PPG), which is a group of our patients interested in helping to improve the service offered by the Practice Team. A questionnaire had already been developed and agreed by the PPG earlier in the year and so this was used as the basis of the Patient Survey for 2011/12. The PPG then assisted the Practice to recruit members of a larger Patient Group called the Patient Reference Group, which was aimed at representing all of the Practice’s demographics. During the recruitment phase the new members of the PRG were asked to comment on the proposed Survey, and as no one disagreed with the questions it was sent out to all members of the PRG to complete. This resulted in only 35 responses despite sending it out to 120 patients. The PPG then assisted the Practice by getting patients in the waiting room to complete the survey. This resulted in 120 completed surveys, which this report has been based on. 1. How would you prefer to order repeat prescriptions? 2. How would you like to book an appointment? 3. Would you like to be reminded of your appointment by text 24 hours before it is due? Question 1	It would appear that the most preferred method of requesting a repeat prescription is the On Line method. As not all patients currently have immediate access to the internet we would also need to have an alternative method. It is felt that this alternative should be the current paper version as it would require no further changes to the system, which would be required if we chose the phone option. Question 2	By far the most preferred option for making an appointment is the one currently in use, ie by phone. This will require no changes to the system. Question 3	As the vote for getting a text message 24 hours before an appointment was nearly 50/50 it would seem to be a system we could consider implementing for those that want it. It will involve a considerable amount of work to collect/confirm mobile numbers, gain consent/decline from all of our patients and then set up the system to send texts to those that wish one, therefore it is not possible to provide this service in the short term. Question 4	Considering the fact that Newark Road Surgery has been part of the Optimus Group for a number of years it is disappointing that nearly ¾ of the patients asked, had never heard of it. We must endeavour to improve this situation so that more patients are aware of the wider aspects of the Surgery. Question 5	The overwhelming comments regarding patient’s good experiences over the last 12 months revolve around the interaction with the staff, both clinical and non-clinical. In addition, many patients felt that the clinical treatment they received was the Surgery’s best area. Question 6	It was very pleasing to note that of those patients that provided an answer to this question, nearly half of them stated that they had not had a bad experience in the last 12 months. 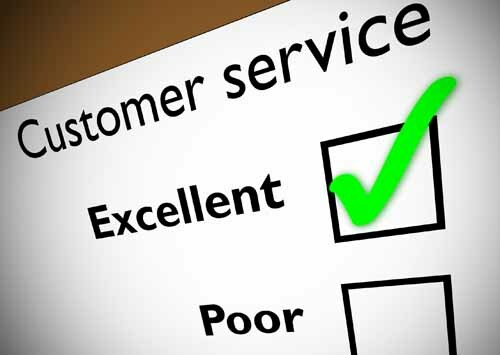 Those that had had a poor patient experience stated that they were mainly due to poor customer care and excessive waiting times when attending for an appointment. Although 10% of those that replied to this question complained about the appointment system, only 4 patients stated the problem as being unable to get an appointment on the day and no one said that they could not pre book an appointment when they wanted to. Question 7	As to be expected, considering the answers to question 6, the most popular areas for improvement were the overall patient experience and the appointment system. Some of the suggestions were outside of our control, such as more parking spaces and giving an exact time when a GP would call. However others were more achievable such as displaying waiting times and staff training to improve their handling of certain categories of patients. A little harder to achieve is the balance between on the day and pre-booked appointments. No matter how many of each we provide there will always be one more person wanting one and therefore to that patient we will have got the balance wrong. For those unable to get an appointment on the day we do provide a GP call back system. This allows the GP to decide if the patient needs to come straight in to be seen or if they can advise over the phone, thus ensuring anyone with an immediate need does not have to wait until the next day. As a result of this Survey; discussions between the GP’s, staff and patients; and legislative requirements the following proposed action plan has been produced. Continue to support the introduction of changes required by the Health and Social Care Bill through engagement with the newly formed CCG and outgoing PCT staff. This is the first time the Practice has involved its patients in the development and running of a Patient Survey and it has been very successful. The overall aim of this type of survey is to allow more involvement by patients in the way their surgery is run, which is in line with current government policy. We have learnt a number of things which will hopefully make future ones run a little more smoothly but in essence it has been a fairly painless exercise. We will still be required to run the more traditional surveys, provided by a 3rd party, as there is a requirement for all GPs to have 1 in each 5 year period for re-validation purposes. Finally I would like to take this opportunity, on behalf of the whole Practice, to thank the PPG and all members of the PRG that have helped to develop, run and respond to this year’s Patient Survey. The Patient Reference Group (PRG) consists of a number of patients willing to support the Practice, either by attending Patient participation Group (PPG) meetings or by corresponding with the Practice via e-mail or post. The objectives of the PRG are to provide a sounding board for the Practice Management Team (PMT) when considering changes to the way services are provided; help the PMT identify priorities for the coming months and to assist in developing patient survey questionnaires. To ensure that the PRG is truly representative of the patient demographics, the Practice has monitored the age, gender and ethnicity of those agreeing to join the PRG. The percentage of each demography of the PRG has been compared with that of the total patient population and where they were not comparable certain groups of patients were targeted to join the PRG. As the Practice already had a very keen and active PPG for a number of years we had already discussed a set of priorities for a survey questionnaire. This was discussed with each person signing up for the PRG and as no objections were raised it was implemented as our patient survey for 2011/12. The survey was then sent out to all members of the PRG, either by e-mail or post. Members of the PRG also phoned patients to ask them to complete the survey over the phone, whilst others sat in the waiting room and asked random patients to complete the survey. Once the Practice reached its required number of returns, equal to 2% of the total patient list, the Practice Manager collated and analysed the results. His findings were discussed with GP partners and a proposed report and action plan was produced. These were sent out to all members of the PRG for their comments and suggestions. As no comments requiring changes to be made to the document, it was published on the Practice’s website at newarkroadsurgery.co.uk. The report contains a summary of the evidence and statistics used to produce the action plan. During these times the Practice provides pre-booked GP appointments as well as access to a receptionist for such things as repeat prescriptions and sick notes. In addition an HCA provides a number of pre-booked appointments, primarily for CVD Risk Assessments, on the last Wednesday of each month. Patients should note that there is no phone service during any of the extended hours. · Home care services where vulnerable patients had little continuity of care staff. This was of particular concern to carers arranging a respite break for themselves and wanting reassurance that their loved one would have the same carer for the whole of the respite break.